Of all the people out there besides President Trump, the person who believes he knows the answers is the odd close friend of Kim Jong Un’s, former NBA player Dennis Rodman. Yes, the pierced up faced, colored haired, NBA ‘bad boy’ is a personal pal of the North Korean dictator and with that he believes he knows what we should all do and he claims he knows what his “friend for life” wants. But, the only people he will discuss it with are Kim and Trump. He wishes to have the President send him to North Korea as a special peace envoy. Rodman wants to also talk to the president, saying “I’ve been trying to tell Donald since day one, come talk to me man I’ll tell you what the marshall wants more than anything, it’s not even that much”. When a newspaper tried to get the information out of Rodman and his response was “I ain’t telling you what it is; I will tell him when I see him”, referring to our president. All of this is very interesting and odd to say the least, of all people to possibly believe and hope to have all of the answers to fix something like this, it very well might be Dennis Rodman. It raises a lot of question and possibilities for what may happen, and also a lot of plain confusion. He’s even added that President Trump and Kim Jong Un are “pretty much the same”, putting it very boldly. Rodman explains that they both love power, and considers that rapid back and forth talk of nuclear war is nothing but “harmless entertainment”. Rodman says that nobody is going to make the first move, but he still believes he is capable of “alleviating some pressures as far as communication”. Should we believe and trust the former NBA player and does he really have the answers? 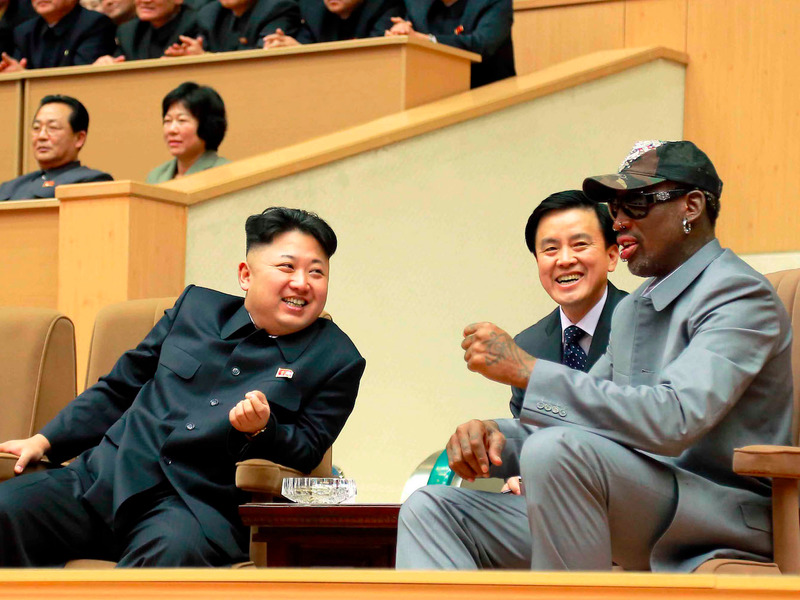 And to top it off, Rodman wants to plan a peaceful U.S. against North Korea basketball game to ease tension. Nobody knows what will actually end up happening, at least for now.